What does Brexit mean for the UK property market? 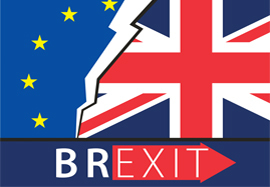 With Article 50 triggered and the UK’s withdrawal from the European Union (EU) now less than two years away, Brexit’s likely impact on the property market has been outlined by national estate agents Leaders. Allison Thompson, managing director at Leaders, puts forward a series of predictions, commenting: “Whether you are a homeowner, tenant, small private landlord or large-scale property investor, the state of the housing market affects us all. The media will always have an impact on the housing market and some negative stories will inevitably put people off the idea of moving this spring and summer. But there will still be plenty of people who want or need to move and Brexit won’t stop them. Those who are determined enough to carry on with their plans and overlook short-term concerns will find opportunities to secure a favourable deal that sets them up for long-term gain. As we become less attached to European rules, choices and conventions, the British dream of owning your own property is set to become stronger than ever. High demand and a lack of supply means house prices are sure to continue to rise. Activity is likely to slow in the short term as some people adopt a wait and see approach, but will pick up again just as it did after the initial shock of the EU referendum last June. The rules and laws governing both the sales and lettings sectors are unlikely to be drastically changed. Most UK and EU regulations are designed to protect consumers and make renting as safe as possible. However, agents are likely to remain self-regulated so sellers, buyers, landlords and tenants will still need to look for an agent that is a member of a professional body which abides by a strict code of conduct. A possible reduction in immigration as it becomes more difficult to enter the UK could have an effect on the rental market in certain parts of the country, as most new arrivals choose to rent. However, overall the rental market will remain strong as tenant demand continues to far exceed supply. Some foreign investors will hold off on investing in UK property until the full economic impact of Brexit is known. This will lead to a slight downturn in high-end London transactions. For expert advice and local market insight please contact your local Leaders branch.